As media consumption habits continue to be disrupted, brands are shifting toward partnering with social media influencers in order to reach coveted consumers in a way that is more personal and less invasive. HOLLYFY presents an ongoing interview series with brand creatives and influencers called HOLLYFY Spotlight. 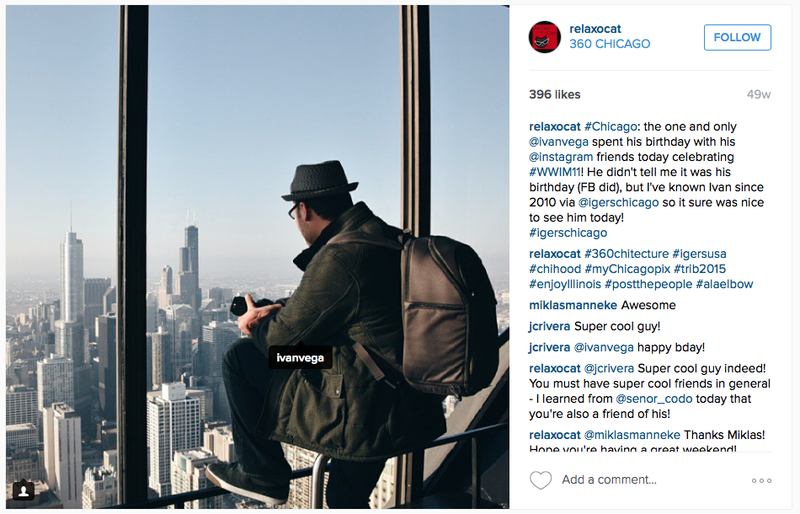 A Chicago native, Ivan Vega is a multi-faceted artist and community leader. Vega earned his B.F.A. in Theatre Performance from the CCPA at Roosevelt University, and he’s continued to work as an actor and voice-over artist. In addition, he’s a co-founder and Executive Director of UrbanTheater Company in Chicago. After opening an Instagram account in 2011, Ivan’s black & white architectural photography quickly grew a following. 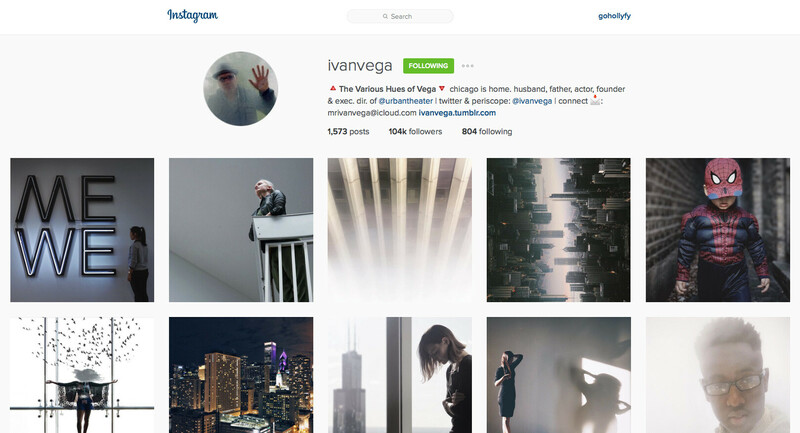 With over 100k followers and counting, Vega is one of Chicago’s top Instagrammers. HOLLYFY connected with Ivan over Skype recently. You started using Instagram in 2011. When did it start to gain momentum for you? Photography has always been a passion. Obviously, acting is number one but it wasn’t until college when I went to Central Camera (centralcamera.com), right on Wabash that I bought my first film camera. I would take it to Osco, to get my film and prints and those would be really expensive. I’d take mobile photos with my other phones. But I was just taking snaps…I didn’t know it could be what it could be with an iPhone. The quality wasn’t there yet? Yeah. The quality wasn’t there. So when I got the iPhone and once I started with Instagram…the thing I really liked was connecting with people all across the world over a common interest: photography. I started to participate in forums and contests. Things started to pick up and if I would get a feature, I would want to continue to do that. People would comment and recognize my work so it pushed me to be better. I followed people who were really great and who had more followers and they would inspire me. I really liked to edit. I don’t like to over-edit, but I like to edit a photo. I find joy in it. It’s kind of like the rehearsal process onstage. A lot of people don’t like it but that’s when all the good stuff happens. The thing I really liked about Instagram was connecting with people all across the world over a common interest: photography. I agree, too–with rehearsal and with editing. I think it’s just a matter of confidence. That’s what it about. When you follow folks you can see that if you look at some of their older work. 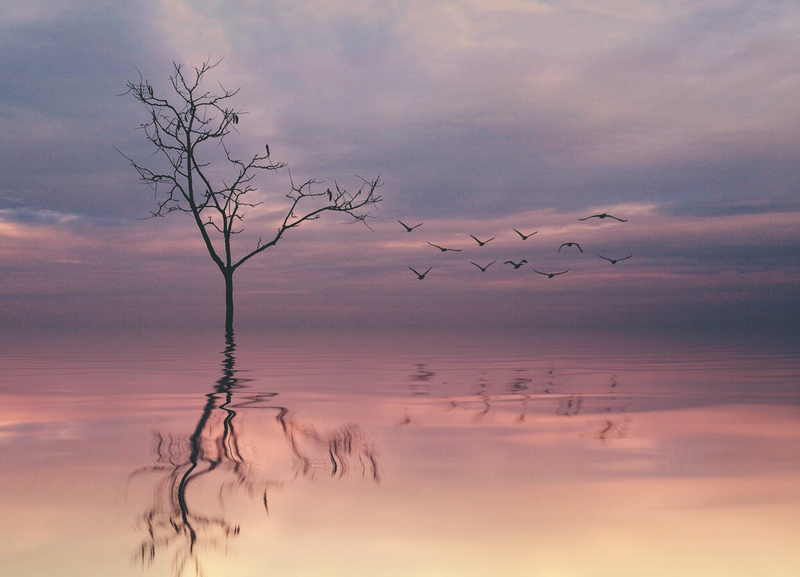 Jason Peterson’s (@jasonmpeterson) been an inspiration, not only to me, but to a lot of Instagrammers. There’s a lot of black and white, heavy contrast. That’s what he’s known for, but he always says “everyone has a community.” At one point I became a suggested user by Instagram, so then that helped increase followers. I kept being active and participated in Instameets and Meetups. It was a nice way to meet people face-to-face. So I make a lot of parallels to the theatre community because that’s what I do. The Instagram community…they’re very approachable and supportive. Before Instagram, I didn’t follow a lot of photographers, but I enjoyed photography. I always skimmed through National Geographic and Time. If I saw something I liked, I always tried to replicate it and take my own spin on it. I love black and white, natural light, windows, people. I’m leaning more towards lifestyle. I love silhouettes and architecture. You started doing the Textured Gangways series. Textured Gangways has been on hold but I want to take that aesthetic further. What are the things you see in gangways? I want to add a theatrical aspect. I really want to incorporate people and stories into that because there’s so many great gangways with a lot of natural light. It’s a unique thing that you don’t find in Los Angeles. Yeah, you know, other people…they call them alleys. But they’re just rows that lead places. So it is a Chicago thing but even the grittiness of having someone with a possible gun in a gangway because it has a name–it is a gangway, right? When I grew up that’s where people used to hang out when the cops came around. They used to hide their stuff and go through the gangway to cut through the alley. I think about the film aspect, like Stanley Kubrick or Scorsese. There’s always a kind of theatricality within the work as well. What other social media services do you use? Twitter was the first one outside of Facebook that I started to play with. Many times people are worried about how many followers you have. It’s not about the followers, but the quality of people you follow. Twitter, Instagram…lately I’ve been using an app called Phhhoto. It’s kind of like Boomerang, the app Instagram launched, but it does moving photos. It’s pretty neat. I use another photo sharing service called EyeEm. I use Snapchat as well. Sometimes it’s overwhelming. It’s hard to do them all really well, but I think it also helps my slight ADD to just focus on something. Does Urban Theater have an Instagram that you handle? We do. It’s @urbantheater. All of our Urban Theater stuff is under @UrbanTheater. I do their Facebook, Twitter, and I also do their Instagram… sometimes their Periscope. I really like all that stuff. It’s just trying to really do it successfully. How much time during the week do you spend preparing content for your Instagram? I do it on-the-fly. When I take a good photo, I really want to edit it. Sometimes life happens, so I’ll wait till the baby is sleeping or I’m putting him to bed. I have him in one arm and I do the editing with the other. I know people who edit five or ten photos and they have them ready and then they post. Who’s your audience on Instagram? I think it’s kind of diverse. Being a Spanish speaker, I follow a lot of people and have followers from Latin and Central America. There are slightly more women. I tend to post pictures of my family, my kid. A lot of Chicago folks, who I’ve actually met, or people that pass through Chicago that I’ve connected with. Most people really like when I post black and white Chicago city stuff. I also post photos of people, which on Instagram, people don’t appreciate portraits but I think they’re starting to. 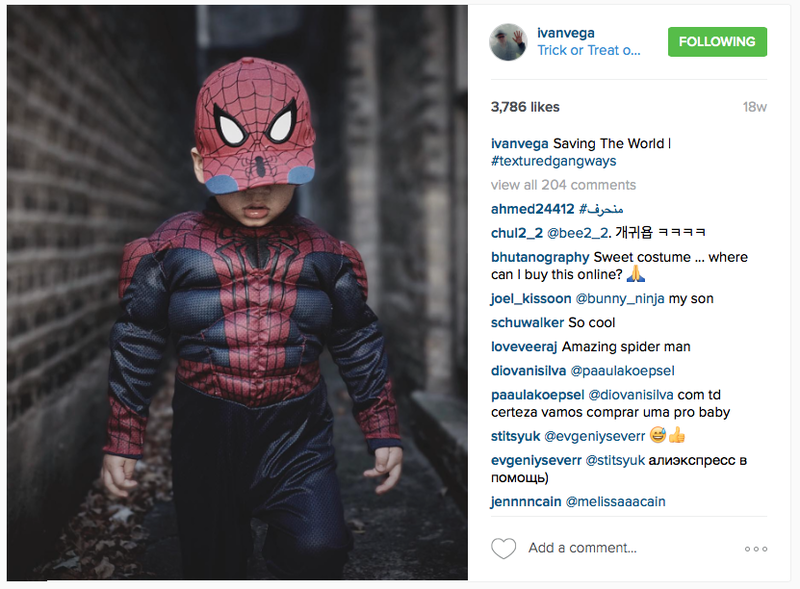 Have you ever worked with brands on Instagram? Nothing paid yet, but I’d love to work with brands and make some extra money here and there. I use the app Popular Pays (@PopularPays). They’re Chicago based startup but I think they’re in L.A., San Francisco. It’s using influencers with a minimum of 500 followers. For example, let’s say there’s a coffee shop down the street. You show them the Popular Pays app, they’ll swipe, you’ll get free coffee and in exchange you’ll have to post a photo to your followers. I’ll use that, but I haven’t been hired by brands yet. I get emails from brands. 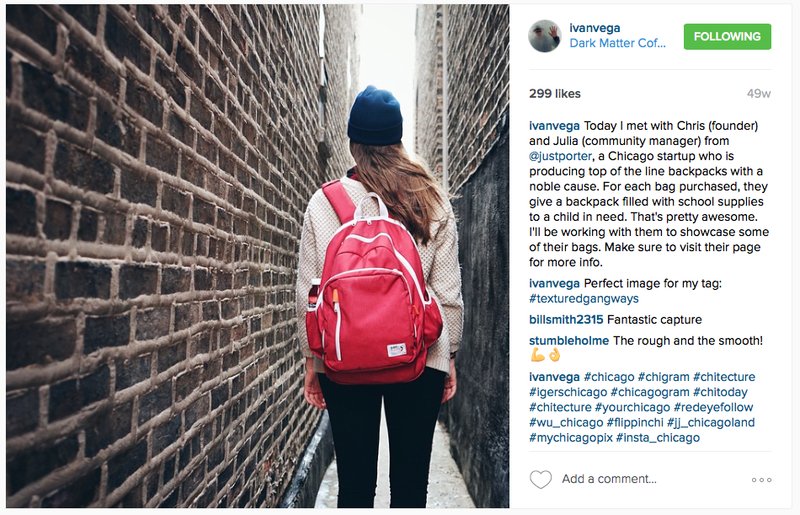 Just Porter (@JustPorter) is a Chicago-based book-bag company. Their thing is for every backpack you buy, they give one to someone in need with school supplies. I don’t mind doing something that I really love for cheap or nothing, but then I have to pick and choose and be smart because time is valuable. Are you interested in making more money from brands? For sure. There are certain brands I’d like to work with. Baby stuff, since I have kids. They’re easy models to get ahold of. Anything related to Chicago tourism. It would be great to travel and take photos. That’s what I’d like to mainly do. There’s a lot folks I’ve seen traveling all the time. For example, I have a couple friends who travel, Omar and Jose. Omar Robles (@omarzrobles) found a great niche documenting dancers in New York. He’s been featured in a lot of places. The other guy is in New York, too: Jose Silva (@jnsilva). I’ve met both of them. They travelled to Guatemala together, and they brought different people from other countries. It was a two-week exploration in the jungle sponsored by SanDisk. It’s pretty cool, but stuff like that would be harder to do…”hey, babe. I’m leaving for two weeks. You got the kids?” [laughs] It’s hard but if there’s some kind of monetary compensation, it makes things easier because it turns into work. It’s the same thing with acting. I don’t mind doing something that I really love for cheap or nothing, but then I have to pick and choose and be smart because time is valuable. 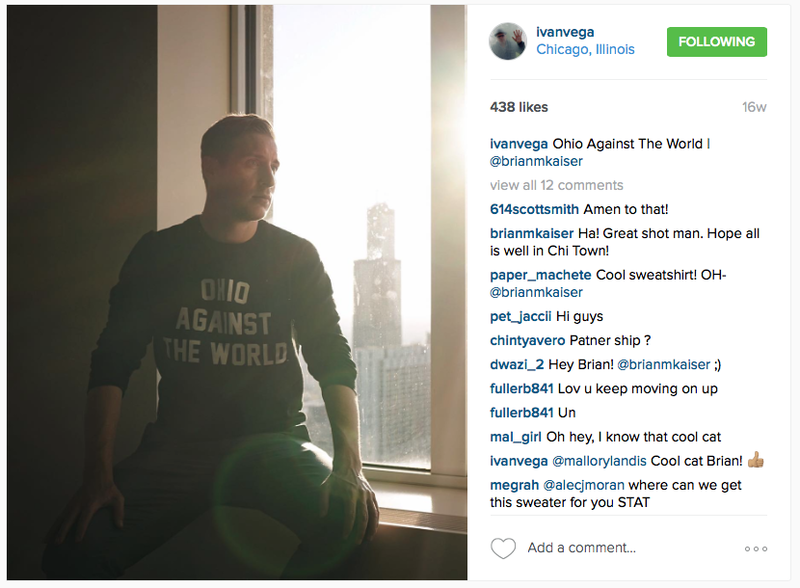 Where do you see your acting and your Instagram in five years? My theatre company just turned ten, so hopefully in five years I’ll be on a salary, instead of pay per project. I’ll continue to do great work and provide opportunities for our ensemble and bring people to the community. If I could make photography my part-time job and make a little money, that would be great. I could make my own schedule. I’m self-taught and want to continue to be better…in acting, in theatre, and with Instagram. So maybe opportunities will come about and I’ll be able to connect with some really cool people. Maybe Instagram will be a good “in” to work with people in the film industry and in theatre. That hasn’t happened yet but it’s because I haven’t really worked that angle. Maybe that’s something I can try. I just have one more question. What’s your favorite hue? Like from your ‘Various Hues of Vega‘? My favorite hue is life. It’s more a metaphor for everything. If you look at some of the work lately, it’s been slightly muted with color. Shades of light blues and yellows.